In Nicholas Bigelow’s lab in Bausch and Lomb Hall, an unassuming black box sits atop a contraption of mirrors and lenses. Wires wind around the box, with a camera attached to view the contents. What are the contents of this mysterious box? A whole lot of nothing. Or, as close to nothing as one can get. Atoms are constantly in motion all around us; in the air we breathe, primarily made up of nitrogen and oxygen, in particles of dust, bacteria, water vapor, and trace gases of other elements including argon, methane, and carbon dioxide. The “box of nothing,” is actually a vacuum chamber containing a double-trap set up that Bigelow, a professor of physics at Rochester, and his Cooling and Trapping (CAT) Group use to interact with and manipulate atoms. In order to get the atoms as cold as possible—which allows researchers to better observe the atoms’ properties—they need to insulate them from the atoms in the outside environment. “The inside of the chamber is like being waaaaay out into the solar system, in some fairly empty part of space,” Bigelow says. 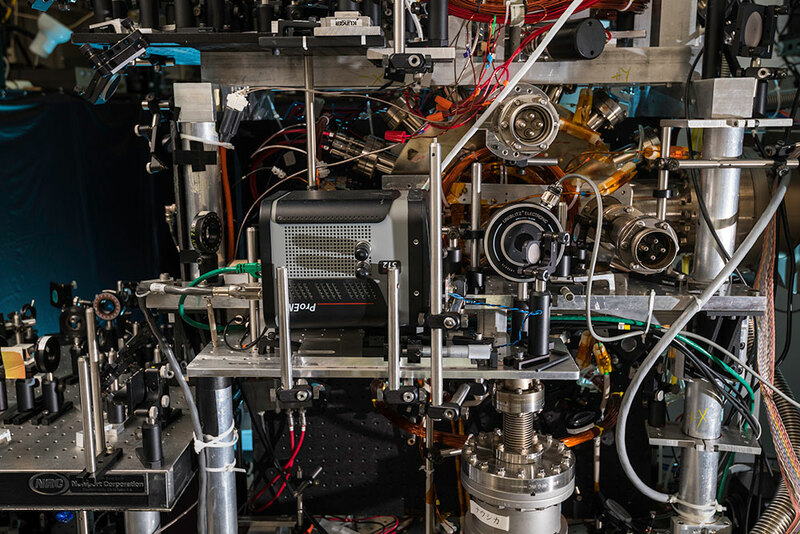 This “box of nothing” — a vacuum chamber in the lab of physics professor Nicholas Bigelow — allows researchers to trap atoms and cool them to temperatures close to absolute zero. At such low temperatures, atoms can be analyzed at the quantum level. On the Internet, you can buy bottles of nothing to give as gag gifts. 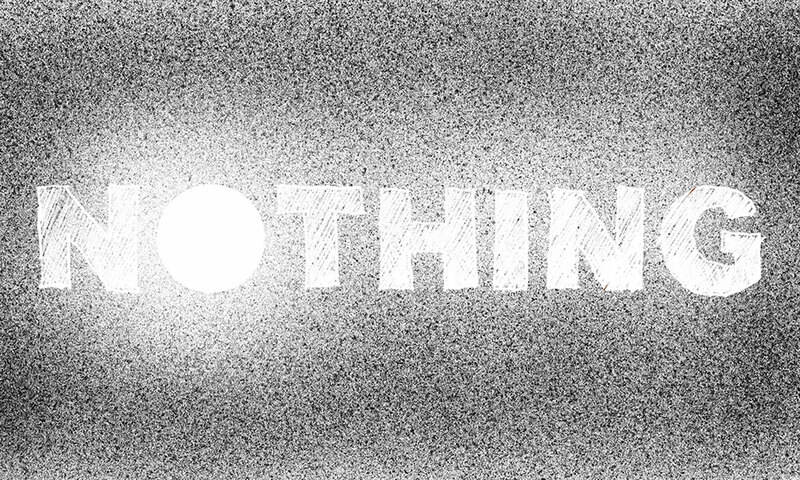 The concept of nothingness is the subject of everything from children’s books to philosophical debate, reaching from the far depths of the galaxy to the mathematics of zero, from Shakespearean plays to scientific theorems. In the universe, however, is nothing ever possible? How have scientists, philosophers, and mathematicians thought about the concept throughout history and up to the present? 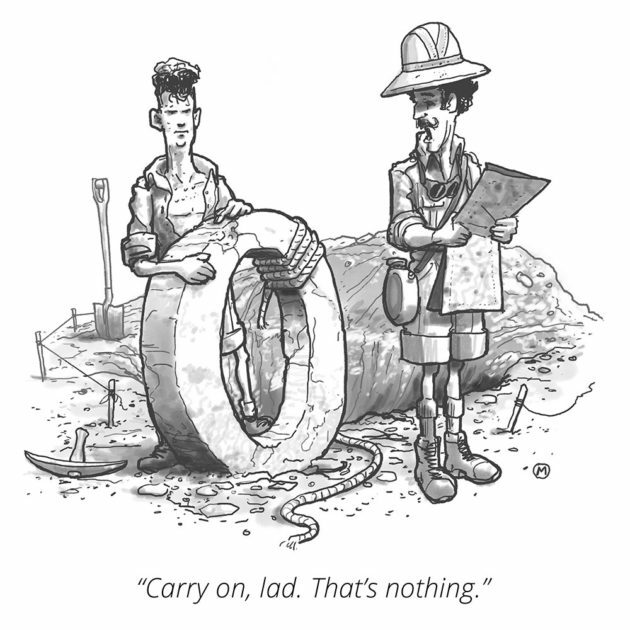 Nothing has been around for a long time. As far back as the Babylonians, mathematicians have expressed the idea of nothing in terms of a symbol, says Steve Gonek, a professor of mathematics at Rochester, who studies analytic number theory and teaches a course called The Infinite. Yet the idea of using zero as a number to express nothing is relatively new; neither the Babylonians nor the ancient Greeks and Romans used zero in this way. In math, zero is used in a variety of contexts but was first developed as a placeholder to distinguish, for example, 302 from 32. In order to express zero on an abacus, mathematicians used empty columns. But, when they then wanted to write down a number, they needed something to notate the empty space. The Greeks and the Romans, however, did not use positional notation. Ancient Greek, Buddhist, Daoist, and classical Indian philosophers also contemplated and grappled with the quandary of nothingness. “The concept of nothing in philosophy historically centered on the question of whether or not a vacuum—space without matter—is even possible,” says Alison Peterman, an associate professor of philosophy at Rochester. Peterman specializes in the history and philosophy of science and notes that philosophy and science were very much intertwined in the early days of modern physics. 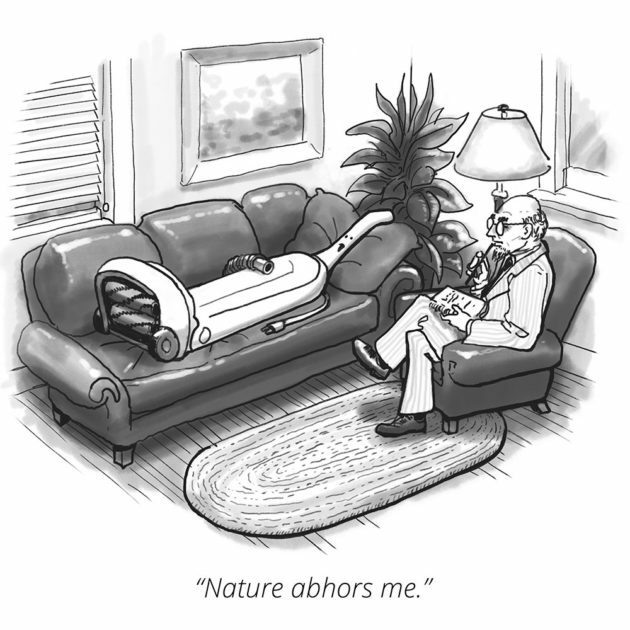 Ancient Greek philosopher and scientist Aristotle, for example, had a number of arguments against the vacuum—notably, that a vacuum cannot exist in nature as a matter of natural law (the idea that “nature abhors a vacuum”). “Roughly the idea is that the nature of the elements and the way they were intermingled meant that any time a hole was created, it would naturally be filled by other matter,” Peterman says. In the medieval period, Aristotle’s dictum was the subject of much debate and experimentation. In 1277, the Bishop of Paris forbid the teaching of Aristotelian philosophical views that threatened to undermine the established religion. One of the unacceptable theses was that a vacuum was impossible because, the Bishop argued, God should be free to create anything, including nothing. Many pre-Newtonian scientists, such as René Descartes, agreed a vacuum was impossible, even incoherent; Descartes argued, for example, that if there were really nothing in between two walls of a vacuum chamber, those walls would be touching each other. Later, Newton upended this notion, saying there was an absolute space, with places that physical stuff might occupy or leave empty. For several centuries after Newton, scientists like 19th-century Scottish physicist James Clerk Maxwell continued to argue that there must be some kind of ether filling space, in which, for example, light rays could travel. This, too, was eventually rejected, and replaced with the concept of an electromagnetic field. 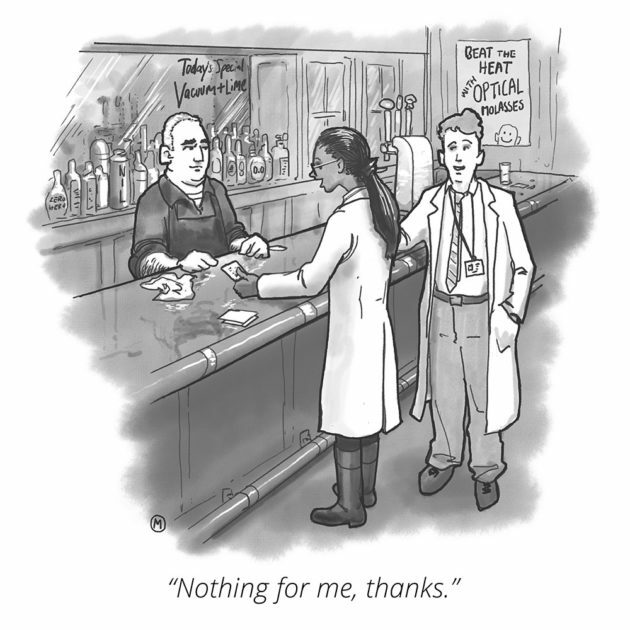 Millennia later, philosophers remain fascinated by questions related to nothing. For example, “Why is there something rather than nothing?” or “Can an absence or a lack be a genuine cause—can the cause of my plant dying genuinely be a lack of water or a failure to water it?” Peterman says. From the smallest chamber to cosmic space, the universe is constantly bubbling with things that appear and disappear. Even if you imagine the deepest, emptiest place in the universe, there are still little photons blinking in and out all the time. How, then, does Bigelow create his vacuum chamber, or box of nothing? By removing atoms. Atoms in a gas at room temperature move at approximately 400 meters per second, or about the speed of a passenger airplane. In order to remove atoms and artificially create a space that is close to nothing, Bigelow and his PhD students Joe Murphree and Maitreyi Jayaseelan use various suction pumps, beginning with a pump like the one you might use to deflate an air mattress and ultimately progressing to a turbo pump with spinning blades. When we normally think of particles, we think of them like billiard balls hitting off the sides of a pool table. As the researchers remove more and more atoms from the chamber, there are fewer particles hitting off things, resulting in a lower pressure. The researchers are then able to trap the slower atoms and cool them to temperatures close to absolute zero, the lowest theoretical temperature in physics. 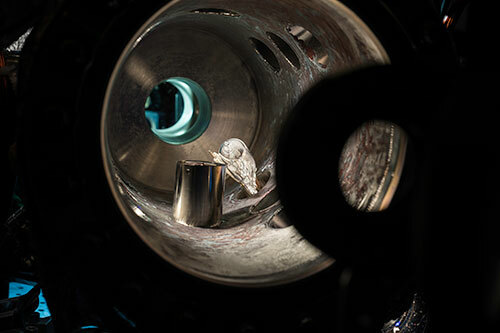 One of the cooling techniques they employ involves using lasers to cool the cloud of atoms, a method pioneered by Rochester graduate Steven Chu ’70, the former United States Secretary of Energy (from 2008-2013), who was also a co-winner of the 1997 Nobel Prize in Physics for these efforts. When atoms are this cold and moving at slower speeds, they are suspended for a minute or more, allowing the researchers to better study the atoms’ properties. “It’s like a bowl that has a soup of photons that’s referred to as optical molasses,” Bigelow says. When an atom is in isolation and moving more slowly, its quantum nature becomes more manifest and it begins to act more like a wave than a particle. If an atom is behaving more like a wave than an isolated point, it is more spread out in space and it exhibits peculiar properties of time and distance. Today, there are only about a few dozen people in the United States who have a similar vacuum chamber set-up in their labs, and about 60 to 70 groups around the world that study extremely cold atoms. Can something come from this nothingness? In the philosophical sense, the creation of something from nothing remains a vexing puzzle. In Bigelow’s lab, the box of nearly nothing may yet lead to a few new somethings. The CAT group’s exploration of Bose-Einstein condensates, for instance, may help in the development of quantum computers, which can process extremely complex calculations faster than traditional computers. Another big area of research involving Bose-Einstein condensates is how we gauge time. Almost everything we measure involves time, including anything that defines mass, temperature, distance and velocity—everything from GPS systems to space travel. There are few places in nature—although neutron stars may be one—where researchers believe the set of conditions that produces Bose-Einstein condensates exists. Likewise with any naturally-occurring place of nothing. Having a vacuum chamber like the box of nothing, therefore, allows scientists to study properties of atoms beyond anything that they may observe with the naked eye. « Show us your town: Washington, D.C.